Jerry Robinson is an economist, entrepreneur, best-selling author, and international conference speaker. 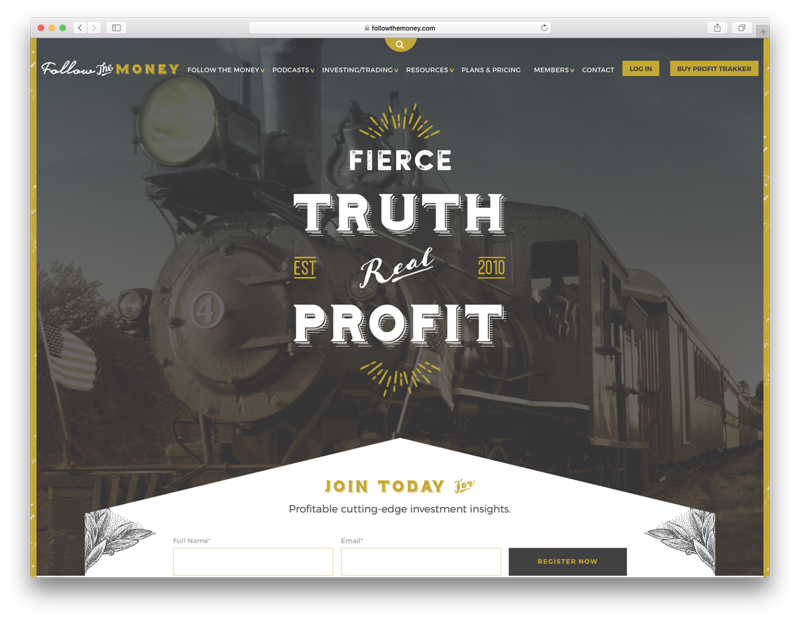 In 2010, he founded FollowTheMoney.com – a membership site dedicated to providing its community with cutting-edge investment education, tools, and coaching to people who want to responsibly build wealth. At his core, Jerry is truly a servant to his audience, community, and members. He founded Follow the Money as a direct response to an unmet need he saw among them. He has a passion for teaching and a strong desire to help people get a handle on their financial lives. Since founding Follow the Money in 2010, Jerry and his team have successfully served over 1 million readers and members around the world. Who should consider starting a membership site? We are proud to have Jerry in the MemberMouse community and are thrilled to share his story, wisdom, and advice with you. Let’s get to it! In 2007, Jerry wrote a book called The Bankruptcy of our Nation which predicted the looming collapse of the economy and financial crises of 2008. Jerry remarked how in 2007 – when he finished writing the book – publishers weren’t too keen on picking it up and publishing it. That makes sense though, right? Who wants to publish a doom-and-gloom message at a time when the economy had never seemed better? However, once the financial crises did erupt, Jerry’s book was picked up and published. Becoming a published author catapulted Jerry into the collective financial dialogue and established him as an authority on the subject. After his book was published, Jerry embarked on a media circuit to share his message with the world. He appeared on numerous popular radio and television programs – including Fox News – to discuss global economic topics. Not only did he appear on radio and TV, but Jerry was also invited to speak at conferences, universities, and organizations across the United States and around the globe. Jerry’s message began to resonate with people as his voice was heard by audiences around the world. People soon began looking to him for financial insights and advice at a time when economic matters could not have been more uncertain. It was at this time that Jerry began asking himself, “What’s next?” Through his speaking and media engagements, he had organically grown an audience of people who were hungry for more information. Jerry felt a responsibility to serve these people who resonated with his message. A burden to help these people with sound financial information and education began to weigh on Jerry’s heart. One day in 2010, Jerry found himself face to face with this dilemma. As he sat with his wife at their kitchen table, he wondered what course of action he should take next. He had a book to sell. He was being invited to speak at more and more conferences. People were obviously hungry for the information and insights he had to share. But what was he supposed to do? Around this same time, he had also been approached to write another book. That would make sense, right? People wanted more information from him. Why not catalog that information in a book and put it out there? At first, he considered this. But, Jerry realized that because of the dynamic, ever-changing nature of the economy and stock market, there was no way he could write enough books to keep up with the needs of his audience. And more importantly, Jerry had come to understand that what his audience needed most was a real connection to someone they could trust. Remember, this is 2010. The economy was still very much in shambles and people seeking trustworthy financial advice needed a bit of hand-holding after the shell shock of 2008’s total financial collapse. Jerry recognized his own gift and aptitude for teaching and understood that what his audience really wanted and needed was sort of a “buddy” to help them navigate the mercurial waters of the financial world. Remember how we said earlier that Jerry always seems to be a few steps ahead of the next trend? What he decided to do next certainly supports that theory. After mulling over his options for moving forward with a way to best serve his audience, Jerry decided to build a website, start a podcast, and take his message online. He recognized that people will always be looking for financial advice and that it would be more effective to build an evergreen, perennial business than write, promote, and sell book after book. So, instead of getting back on the hamster wheel of book publishing and media circuit promotion, Jerry created a website and podcast to directly connect with the people who were actively seeking his advice. And thus, FollowtheMoney.com was born! If you look at Jerry’s membership site today, you’ll see a beautifully designed and highly refined website with numerous free reports & publications, three different podcasts, proprietary trend trading software, four different membership levels, and much more. It might be easy to feel discouraged and think there is no way you could get this much done. 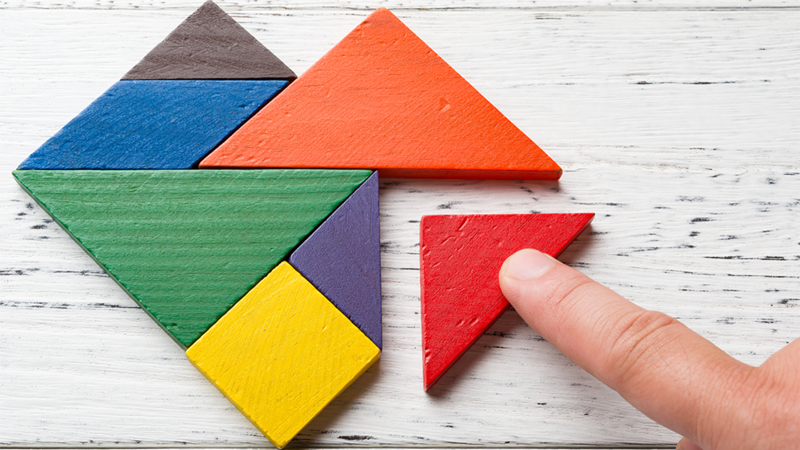 However – as Jerry points out – the mindset you adopt when starting a membership site should be the same attitude you take when approaching a long-term investment strategy. Over time, as you create more content, serve your community, and develop your own skills, your membership site will increase in value exponentially. And to prove it, let’s go back to 2010 and take a look at how Jerry first got his membership site off the ground. One of the incredibly smart things Jerry did before he built his website was to start an email list as he appeared on radio and television programs and lectured at various conferences and universities while promoting his book. If you are just beginning to build an email list, here is a great resource from Pat Flynn with everything you need to know to get started. Jerry then launched a monthly coaching call to the people on his email list. These were people who had expressed enough interest in Jerry and his message that they wanted to continue receiving communications from him. He knew there were people on this email list who were hungry for more information and a deeper connection with him as an expert on financial matters. And it worked! People were interested in a monthly coaching call with Jerry. They signed up and he then had “proof of concept” (we’ll talk more about that later). Jerry recorded these monthly coaching calls and added them to a protected members’ area on his website. And that’s how Jerry’s membership site was born. While Follow the Money has certainly grown, developed, and evolved from those early days, Jerry’s experience is proof that it is OK to start small and simple. Don’t overcomplicate things! You really can start a membership site with a small list of people who may willing to pay for access to helpful, exclusive information. But we’re getting ahead of ourselves a bit here. Jerry gives you a ton of good advice for running and operating a membership site. But, we’ll cover that a little later in the post. Like many of our successful customers, Jerry did not start his membership site using MemberMouse. Jerry and his team used another popular WordPress membership plugin (we won’t name names here…) when first starting the Follow the Money membership site. When using this other membership plugin, Jerry and his team encountered a lot of different tech headaches. They were struggling with this other plugin and began looking for a better solution. Then, in 2014 they found MemberMouse. Jerry said it was a perfect fit for his business. They successfully migrated over to MemberMouse from the other WordPress membership plugin in 2014. Jerry states that MemberMouse made running their membership site a lot easier and they have been happy with their decision to migrate ever since. We asked Jerry about his favorite MemberMouse features, and he told us about the value our Advanced Reporting Suite brings to his business. For Jerry and his team, the different reports in the Advanced Reporting Suite give them the critical metrics – like Lifetime Customer Value, Churn & Retention Rates, and Sales by Product – and information they need to profitably run their business. Since Jerry has almost 10 years of experience starting, growing, and operating a membership site, we asked for his perspective on who should consider starting a membership site. We’re glad we did because he had a lot to share on the topic. So, if you’re on the fence about whether or not you should start a membership site or doubting whether you have what it takes to succeed, take a look at this list of character traits Jerry sees in the successful membership site owner. Passionate and knowledgeable about a subject or topic? Someone with the ability to effectively communicate and teach? Committed to serving a market, community or audience? Insatiably curious about a specific area of expertise? Someone who is compassionate towards the needs of their market or members? From what Jerry has seen, people are often more likely to pay a monthly fee for access to you, your community, and exclusive information over a one-off course fee. Jerry notes that people genuinely want to learn on an ongoing basis. And, if you’re in a market or industry where access to new, real-time information is important (such as the stock market), a membership site may make the most sense for you. As Jerry says, “I couldn’t write enough books to do what I do with a membership site. The great thing about a membership site is that you can always update it.” The process of updating and revising a book or course is tedious, cumbersome, and time-consuming. But with a membership site, you can always create new content that will be immediately relevant and accessible to your community of members. But if you’re still not sure whether or not you should start a membership site, Jerry details a few steps you can take to test your idea and get some traction. Jerry had already written a book, appeared on TV & radio, had an audience and an email list. If you are truly starting from scratch, from absolute square one, you should create a platform where you can demonstrate your knowledge, establish your authority, and build an audience. This can take the form of a blog, YouTube channel, Instagram page or even a podcast. The key here is to grow an audience of people who are interested in you and what you have to say. The free content you create will help to demonstrate your expertise in your chosen topic and establish your authority in the market. Once you’ve built a responsive audience (no matter the size) you’re ready to build a product people would be willing to pay for. If you’re not ready to go all-in and build a membership site using WordPress, try creating an e-book, email newsletter, or Udemy course. These are all good ways to create what’s known as a minimum viable product (MVP) and test your idea with your audience. When you have a site up and running, be sure to deliberately “own” the niche or market you are targeting with your website. Speak directly to your audience using the language they know and respond to. A word of wisdom from Jerry: Pick a URL that is easy for people to remember. When you’re out there talking with people, sharing your knowledge, and networking, you want to make sure people can remember the name of the URL you told them about in conversation. Once you have decided to build a membership site, Jerry recommends that you start off with a low cost. Remember, his member education site started out with nothing more than a coaching call and recordings behind a paywall. Jerry recommends that you start off charging somewhere between $5 – $9 dollars to your earliest adopters. You can always raise your prices later. The most important thing at this stage is buy-in and feedback. With a low barrier to entry price wise, you can test just how many people there are out there who actually want what you have. Remember, the more informative and educational content you create for your members, the more valuable your membership site becomes as a whole. Your membership site accrues value over time just like a good investment. And here’s a pro tip from Jerry: Before you do raise the price of your membership you should strongly consider grandfathering in your early members at the original price. This is a fantastic way to thank them for sticking with you through your humble beginnings. Once your membership site is rich and full of valuable content, reports, training, call recordings, etc. then it’s time to raise your prices. People who join your membership after you’ve successfully run it for a year or two will have immediate access to so much more valuable content versus your members who stuck with you in the early days. 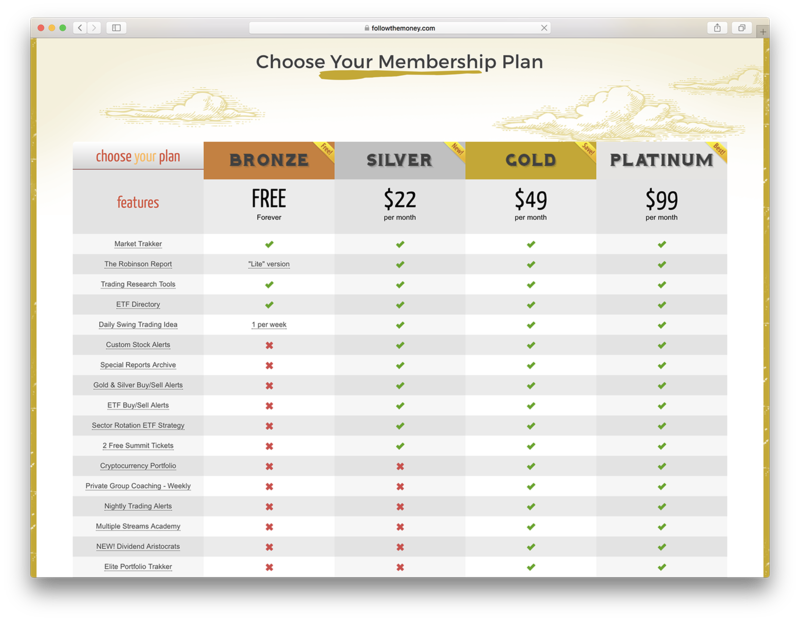 The price these members pay to join should reflect the value inside your site. Speak wherever you can on the topic – do radio interviews or podcasts – get out there! You heard it straight from Jerry! Mix, mingle, and get out there! For all the introverts in the room… this might not sound like the most fun you’ll ever have. However, speaking in your area of expertise to new and diverse audiences is one of the best ways to reach new people and further establish your authority. Underpromise, Overdeliver, And Never BS! Believe it or not, a lot of your audience and members in your community will be smarter and more knowledgeable about aspects of your area of expertise than you are. It should go without saying, but never lie or BS to your community. Another good guiding principle is to always underpromise on what you’ll create for your members and then delight them when you overdeliver. Earning and keeping the trust of your members is so important. Never do anything to jeopardize this. If your membership site deals with a sensitive topic like financial or investment advice, Jerry recommends that you think long and hard before incorporating a community forum. He advises this because, at the end of the day, you are liable for what happens on your website. The last thing you want is for a loose cannon or untrustworthy source of information to infect your private community area. Above all else, Jerry recommends that you do whatever it takes to protect your members and their interests. Their trust in you is so important. Running a membership site is a marathon, not a sprint. Regarding the importance of perseverance, Jerry told us: “If I had given up in the early days when things were hard, I would have wasted such a good opportunity and squandered my chance to improve the financial lives of millions of people.” So, stick with it and don’t give up! That just about wraps it up for this Customer Success Story. We’d like to extend our sincere gratitude to Jerry for collaborating with us on this post and from sharing so generously from his experience. If you’d like to learn more about Jerry and see what he is up to, you can find him over at followthemoney.com (pretty easy to remember that URL, right?). For more inspirational and informative Customer Success Stories be sure to stay tuned to the MemberMouse blog and Podcast. If you enjoyed this post, please leave us a comment and share with your community.